Oxford Volleyball Club: A great Whitfield tournament! 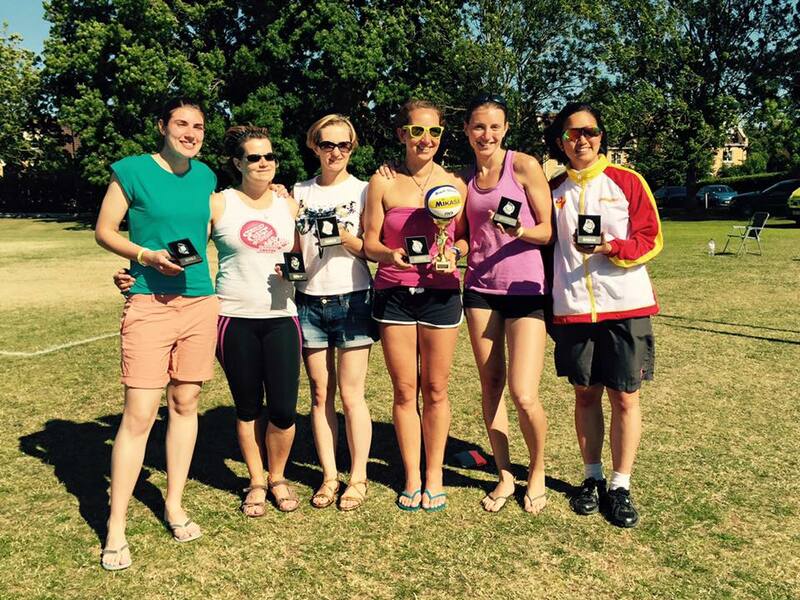 Last weekend was the annual Whitfield grass tournament, held in Bristol instead of at the usual Bath venue, and OVC had two ladies' teams taking part. The Eagles (Karina, Izzy, Asia, Vicky, Stef and Giulia) had a great tournament, with everyone playing well and showing good team work, especially in dealing with the strong winds. Their play earned them a finishing place of third out of a total of 16 teams in their division. Well done Eagles, and thank you to Maite for stepping in following an injury in the last game. The NVL ladies' team was made up of 4 OVC players (Annika, Adi, Nela and Maite) and 2 uni players (Flora and Fiona). 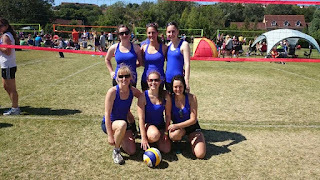 They had some great games against teams with NVL div 1 players, and so were really pleased with their runners up result. Windy conditions didn't help but exceptional serving gave them a definite advantage over some of the other teams. Congrats to all!